Synchronizing with Nature's Cycles Workshop Series - I.N.A.S.C.A. 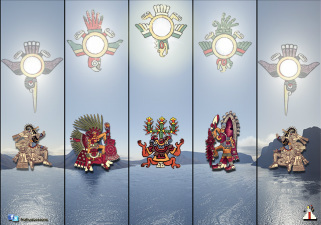 The ancient Native Meso-Americans developed an incredibly precise calendar system that tracked the cycles of nature with the solar calendar called the Tonalmachiotl. Each "month" lasts for 20 days and are often called "Veintenas." Each Veintena was accompanied by a celebration or ceremony that allowed people to come together and work together in community. These ceremonies and celebrations allowed the people to synchronize their lives consciously and harmoniously with the cycles of Nature. In accordance with this knowledge and customs, this Workshop Series is held once every Veintena, so that we may learn experientially the season and cycles of Nature that it marks. Often after the workshop we hold ceremony to mark important moments in our paths. Information regarding the next workshop in December coming soon.